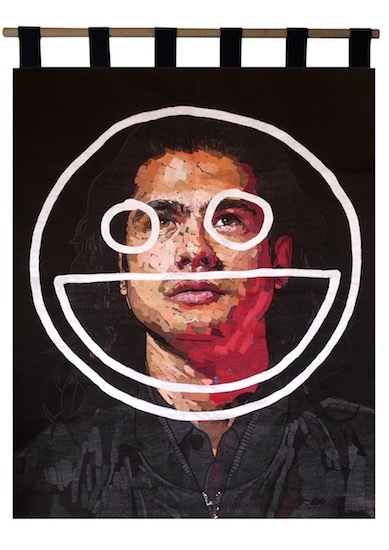 Abdul Abdullah’s installation Call me by my name features several new embroideries hung in a circle at face height. 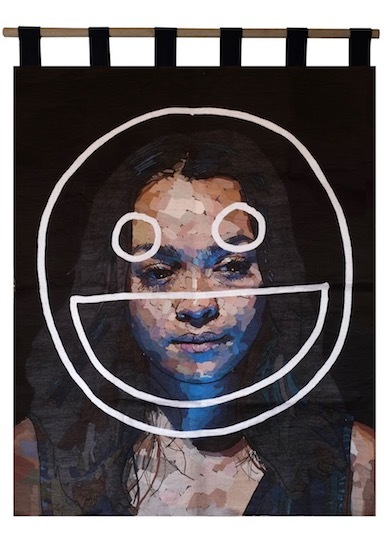 The tapestries feature portraits with the subject’s eyes peering out at the viewer behind scrawled smiley-face emojis. 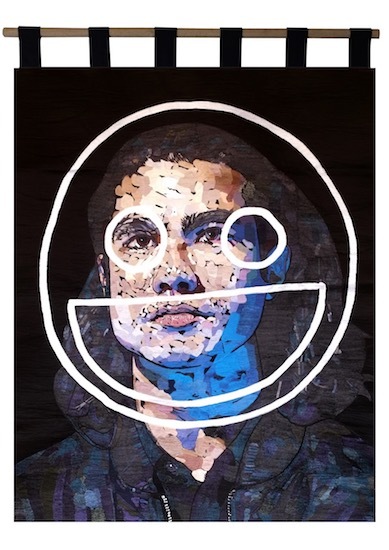 In making the work Abdullah was concerned about the accusations directed at younger generations that they are not living up to the former generation’s expectations. 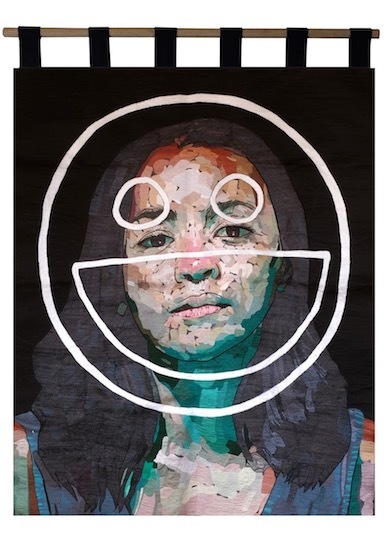 In these embroideries, young people each look out at the viewer from behind the superficially qualifying symbol of a smiley-face. 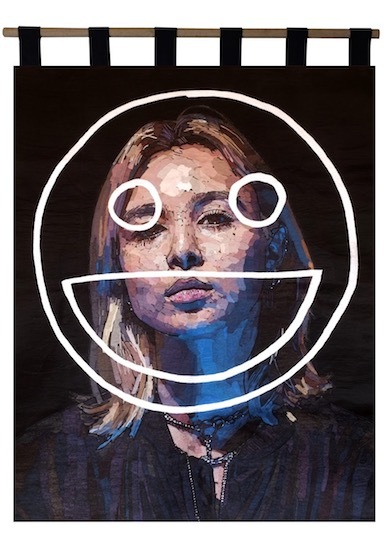 The contrasting smiley-face icon and the figure lurking behind suggest a façade of joy, shielding the viewer from a deeper, more ominous truth concealed within the stoic sitter. 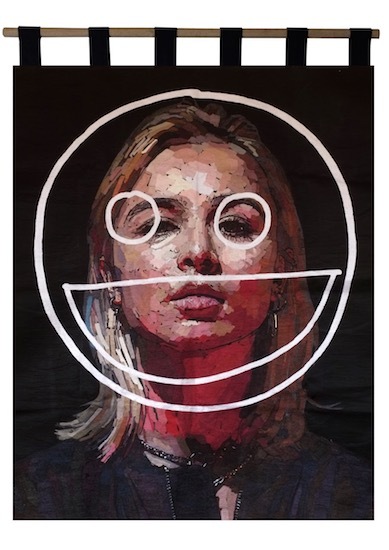 It is used by the artist as a way to reflect the contemporary use of the emoji as a reductive form of written language, as hieroglyphs that rely on particular cultural understandings that can be cynical and dismissive. 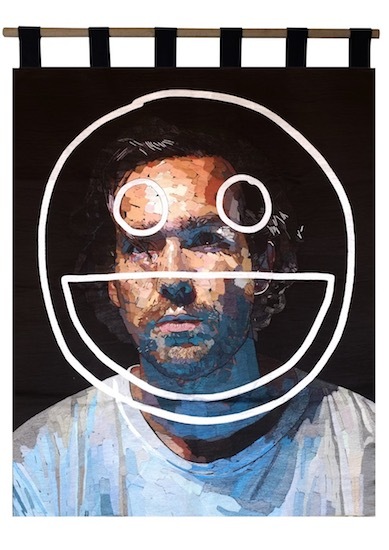 In Call me by my name the emoji acts as both a shield and a cover from charges of generational failure, and by hanging at face height the installation positions itself as a direct request for civility and respect. It asks the audience to afford others the specificity and complexity in judgement that they afford themselves. 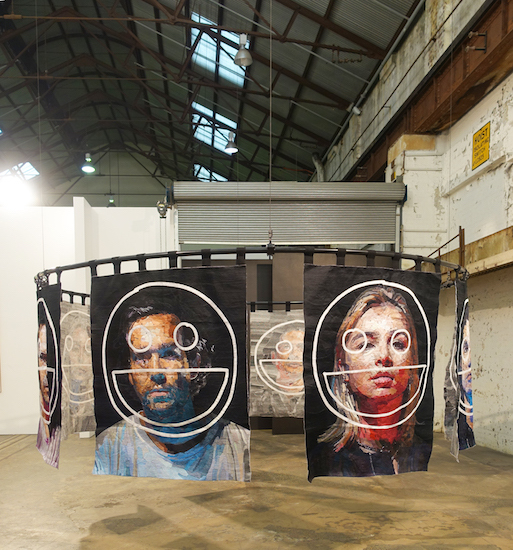 Installation Contemporary is an exhibition throughout Sydney Contemporary featuring innovative, site-specific and interactive installations curated by Nina Miall.